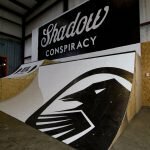 Here at The Shadow Conspiracy we believe that supporting the BMX lifestyle goes deeper than having a team and placing some ads. We feel the best way to maintain the right vibe and secure the future of riding is to invest in and help cultivate local BMX scenes. Our Keep It Local tours were the first step in us giving back to the thing we love most. The goal of the KIL Tour was to travel to and be a part of as many local scenes as we could. 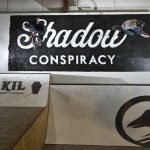 By hanging out with riders and promoting local BMX shops and parks, we were able to show the world what BMX is really about. Through our travels and experiences we developed the next step in the KIL ideology, park sponsorship. 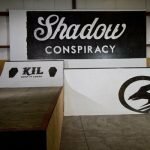 Keep It Local Parks like Cranx in Syracuse, NY and Ride On in Australia are the epitome of BMX and fully support the riders and their scenes. Through our sponsorship they have been able to expand and truly become the best that they can be. With that being said, we are proud to announce the newest addition to our Keep It Local Parks, The Wheel Mill in Pittsburgh, PA. With truly passionate riders like Mike Cottle and the Potoczny Brothers behind them, The Wheel Mill has moved beyond just being a place to ride your bike and has turned into a huge voice for the Pittsburgh BMX scene. We are so excited to watch them grow even more with our support. Whether you are in the North East of the United States of America or down under in Australia, we hope that you will make a trip to one of these amazing parks. You will not be disappointed by the amount of fun you will have, the amazing people you will meet, and the scenes you are supporting.